It was of course impossible that a breed like the Clydesdale, the merits and value of which became generally recognized almost as soon as the horse was known, would long remain without supporters in other districts than that from which he derives his name. The middle of the nineteenth century, therefore, saw the Clydesdale being bred in other parts of Scotland, so that in course of time the Galloway Clydesdales became recognized as a leading branch of the old tree. These animals were possibly the result of crossing the Clydesdale stallions with the old Galloway mares of the heavier type, which are referred to by the Rev. S. Smith, who wrote in 1810, as being "inferior in size to the dray-horses of many other districts, though they are capable of performing as much labour and enduring still more fatigue, whilst they are more easily kept and less liable to disease". The reverend author describes these animals as being "round in the body, short in the back, broad and deep in the chest, level along the back to the shoulders, not long in the legs nor very fine in the head and neck: their whole appearance indicating vigour and durability, and their eye commonly a sufficient degree of spirit". There is also information, dating from about the middle of the century, which refers to Ayrshire Clydesdales, and Kintyre, Aberdeenshire, and Cumberland strains, all three of which could trace back to the Lanarkshire root, and cast no discredit on the good horses whose blood they inherited. 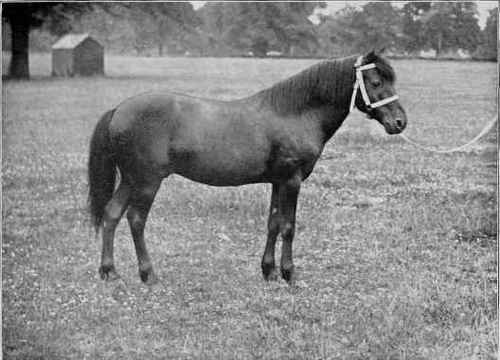 At the same time, there are strong grounds for believing that, many years ago, there were Shire stallions standing in Aberdeenshire, and consequently it is very possible that this blood was resorted to by breeders of an experimental turn of mind with the object of improving their studs. 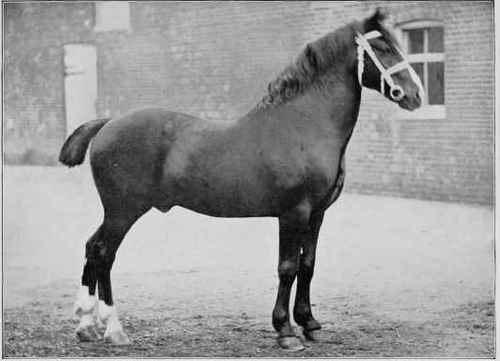 Whether the introduction of a Shire horse is a judicious act on the part of a Clydesdale owner is, of course, a question that each breeder must answer for himself; but it may be stated that the late Mr. Lawrence Drew, up to the date of his decease, in 1884, entertained the strongest opinion upon this subject. This gentleman contended that the Clydesdale and the Shire horse were practically one flesh, and that the most superior draught-horses were to be obtained by crossing the two breeds. Such a doctrine was very naturally regarded as the rankest heresy by the majority of both Shire and Clydesdale breeders, but Mr. Drew was loyal to his convictions to the last. 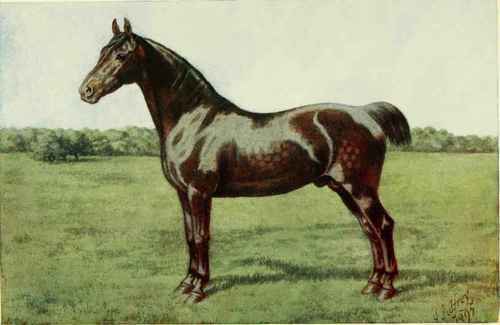 The most famous animal ever owned by him was the dark-brown Prince of Wales, 673, which was foaled in 1866, and lived until he was twenty-two years old. This horse, so far as his grandsires were concerned, was of unexceptional Clydesdale blood, but the gravest doubts were entertained by some people respecting the breeding of his grandams. Both of these mares, singularly enough, were grays, and it was the opinion of Mr. Nicol Fleming, who bred Prince of Wales, and of Mr. Lawrence Drew, who owned him during most of his career, that both of them were Shire-bred mares. The horse is described as being rather sour in head, and too straight at the hocks, but a marvellous mover in all his paces; and no doubt he got some fine stock, whatever his breeding might have been. Plate XIX. PACK-HORSE TRIUMPH II. By Cottager; dam by Sportsman. Plate XIX. DARTMOOR PONY STALLION, GOLDFINDER. Winner at Brent Show, S. Devon. The Property of Vero Shaw, Esq. Sire, Sportsman (Harts) 624 by Prickwillow (Weatherill's); dam, Polly. The Property of C. W. Wilson, Esq., Rigmarden, Westmorland. Having thus attempted to trace the history of the Clydesdale through the varying stages of his career, it now becomes necessary to describe the leading characters of the breed. The head is broad across the forehead, gradually tapering towards the ears, which are rather inclined to be long and large; the forehead is wide between the eyes, which should be full and lively, though free from that hard, harsh look which disfigures the expressions of many horses. The jaws are broad and not infrequently rather coarse about the muzzle, whilst the nostrils are large and open. 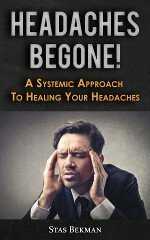 A narrow head is not to be encouraged, as this is usually associated with an absence of intelligence, whilst small sunken eyes are generally accompanied by a bad temper. The head should be correctly set on the neck, which it should meet at not too acute an angle, the neck itself being lengthy and deep and nicely arched, very massive and powerfully placed at the shoulders. The shoulders themselves partake far more of the riding character than those of any other draught-horse, as they should be sloping and rather long by comparison with those of the Suffolk or the Shire horse; whilst the chest should be broad and deep, and the fore-legs, a most important point of the breed, should of course he short to the ground from the shoulder. They ought to be very powerful about the arms, showing great muscle here; with flat, broad knees near to the ground, and with as much bone as possible below them. Below the knee, moreover, the bone should be flat and of a good hard quality; whilst the back of the legs from the knees downwards should be well feathered with soft silky hair, coarse or curly feather being objected to by authorities on the breed. The pasterns are another point in the anatomy of the Scottish horse in which it differs very greatly from the Shire, as in the Clydesdale they should be rather long and sloping, in order to give springiness to the action, which is so much desired. The feet must be of a good size, correct in shape, strong, and absolutely sound. A malformed or diseased foot, and indeed a small or shelly one, would be perfectly incapable of carrying on a week's hard work upon the stone-paved streets of Glasgow or any other large town in which Clvdesdale horses are utilized for heavy draught purposes. The feet, therefore, should be round, wide at the corners, the crust thick, and the heels well developed. The middle-piece of a Clydesdale should be big and well sprung at the ribs, a flat-sided specimen of the breed being objected to by most judges. The back is frequently a little longer than it should be to be quite in accordance with what is desired. A slight drop in the back is perceptible in some of the very best horses of the breed, and so is not to be regarded as a disqualification or even as a very serious fault, though it is unquestionably unsightly, and should not be encouraged. The quarters are wide, lengthy, powerful, and well let down. The hocks are connected with the stifles by thighs well clothed with muscle, and are themselves broad, well developed, clean, of course, and set at a nice angle. Below the hocks, the bone should be plentiful and flat, the hocks being near the ground, and the legs perhaps carried a little forward. The feather is abundant and extends upwards to the hocks. The pasterns gently slope and the feet are sound, well shaped, and of ample size. The chief colours to be found amongst Clydesdales are brown, black, and bay. Gray is admissible but is not usually encouraged, whereas both chestnuts and roans are not recognized. Most Clydesdales are more or less heavily marked with white, as were the old Lochlyoch mares, the excellence of which has been referred to above. The usual and preferable height for a stallion is about 16.3 hands, or an inch over, the mares, of course, standing lower at the shoulder. The action of a Clydesdale chiefly consists of a light, springy, even walk, his step being firm and brisk, and his feet being lifted well off the ground. A Clydesdale's carriage has also a great deal to do with his success under a good judge. A gay bearing of the head is much admired, whilst in walking or standing the horse should stand level and straight upon his feet, an inward or an outward turn being a fault, the latter, however, being by far the worst. A free elastic walk is not the only pace at which a Clydesdale can distinguish himself, however, as many of the big Scottish horses are very free-actioned, and have gained quite reputations for being fast and nimble trotters. In fact, at an early Bristol show a Clydesdale outstripped many of the light horses upon the ground; but such a performance is, of course, exceptional. The constitution of the Clydesdale is remarkably robust, and although he may not possibly belong to so long-lived a variety as the Suffolk, the north country horse can usually be relied on to withstand the effects of cold, wet, and hard work, better than any of the heavy varieties in existence. From what has been written of the Clydesdale, it will be clearly seen that though he may not have the same claims to the possession of an ancient lineage as the Shire horse or the Suffolk, he is nevertheless an animal of a defined type, and, as a variety, quite old enough to be relied upon as a true breeder to that type. Moreover, it may honestly be contended on his behalf that the Clydesdale supplies a want, which in his absence it would be impossible for the employers of a certain stamp of draught-horse to fill adequately. He is, in fact, the pony of the heavy horses, so freely does he move, the liberty and freedom of his action being possibly inherited from the old Galloway mares from whom he claims to be descended. It is, in fact, impossible to conceive that a more active horse of his weight and height could be produced, even by successive generations of skilful breeders. No visitor to Glasgow can fail to notice how perfectly the breed is adapted for dray and lorry work upon granite streets of a great city. One day's experience of the Clydesdales attached to drays, and walking off with ponderous burdens, would be sufficient to impress a careful observer with the immense value of the breed for heavy draught; whilst the frequently-displayed impetuosity of the horse to commence his work, the swiftness with which he at once fills his collar and steps out again after a sudden check in the streets, his general soundness and excellent constitution, all combine to justify his admirers in the eulogies they bestow upon the Clydesdale, their favourite breed of horse.